(NC)— There is now a way to simplify your family's fire protection as some smoke alarms ring in 2013 with major improvements. 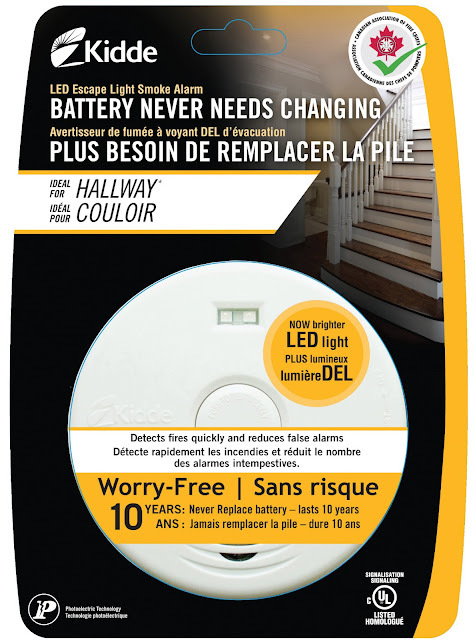 The safety product market leader Kidde is introducing entire line of 'worry-free' smoke alarms. Featuring new 'sensing technology' and 'sealed lithium batteries', these latest models can be installed throughout the home and eliminate common smoke alarm complaints. The first issue to be addressed is nuisance alarms. These new products, according to Kidde, feature smart-sensing photoelectric technology that minimizes, if not eliminates, cooking and shower steam-related false alarms. Next on the hit list is battery replacement. More smoke alarm information and safety tips are found at www.kiddecanada.com and www.safeathome.ca.